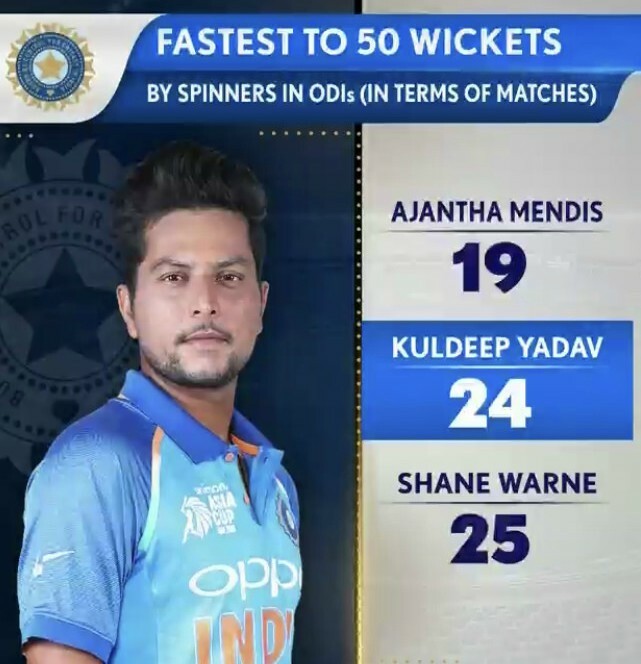 Left arm chinaman bowler Kuldeep Yadav became the second fastest Indian bowler to take 50 ODI wickets. He achieved this feat in 24 matches, after former Indian bowler Ajit Agarkar, who reached it in just 23 ODIs. He thereby became the second fastest spinner to do so after Sri Lanka’s Ajantha Mendis, who took only 19 matches to cross the landmark.